Having successfully operated her own businesses and multimedia projects, Carmen provides over 17 years of nationwide business operations, marketing and media experience; insights that are essential to helping you grow your business. 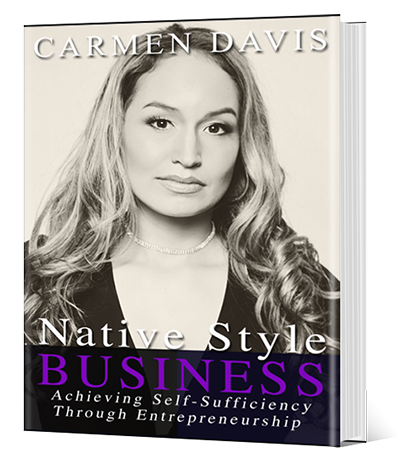 In her soon to be published book, Native Style Business, Carmen shares the keys to success and living the dream of owning your own successful business. Carmen helps audiences In her keynotes, trainings and workshops to recognize, develop and utilize their inner strengths to define and accomplish their goals. Carmen promotes anti-alcohol/anti-drug messages and believes in the importance of physical fitness, proper eating habits as major components in establishing a healthy lifestyle.